Have a listen to Ronnie’s interview on Lulu Radio Episode 31 with Jason Adams. 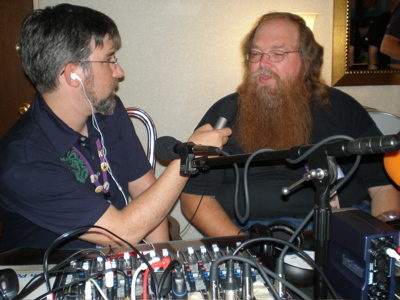 Ronnie and Jason discuss jumping into Creative Commons publishing with both feet, the process of publishing both through a conventional press and through Lulu, and how the podiobook came to be. Lulu Radio is funny and informative and we hope you give Mur Lafferty and Jason Adams a listen on other episodes as well. You can find Lulu Radio at the link in this post. This entry was posted on Wednesday, June 20th, 2007 at 8:21 pm and is filed under Podcast, Serve It Cold. You can follow any responses to this entry through the RSS 2.0 feed. Both comments and pings are currently closed.